I must be on an Asian-culture tour of NYC. After celebrating one birthday in the Chinese section of Queens a few weeks ago, there were a trio of birthdays this past weekend in Koreatown in Manhattan. 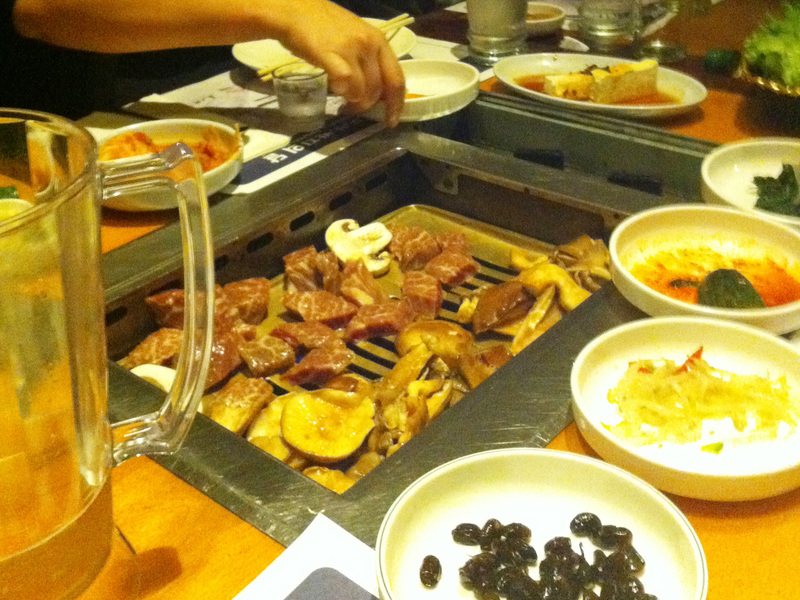 For dinner, we had Korean barbecue at Kum Gang San where they cook the food right on your table. The interior of the restaurant was so over the top. 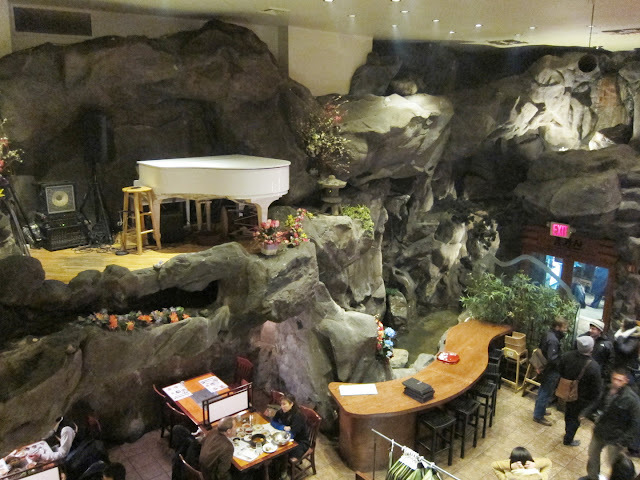 Double-height faux rock wall with waterfall and white baby grand piano? Check. Once again, I had to make do with my terrible chopstick skills, but thank God someone brought forks so we could enjoy delicious red velvet birthday cake from Billy's Bakery! 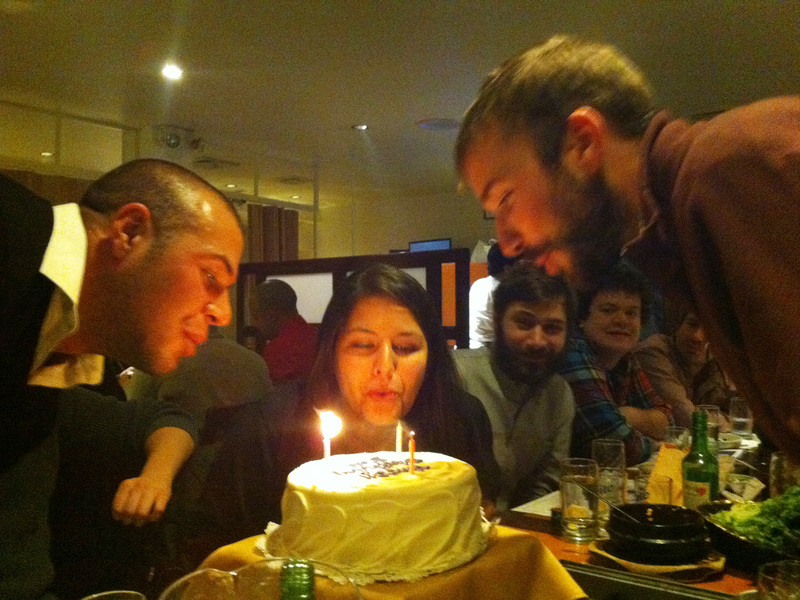 Happy Birthday Pilar, Ricardo (Pilar's younger brother in town from Louisiana, they share a birthday! 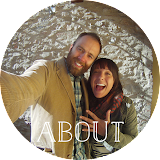 ), and Will (whose birthday was the following day)! 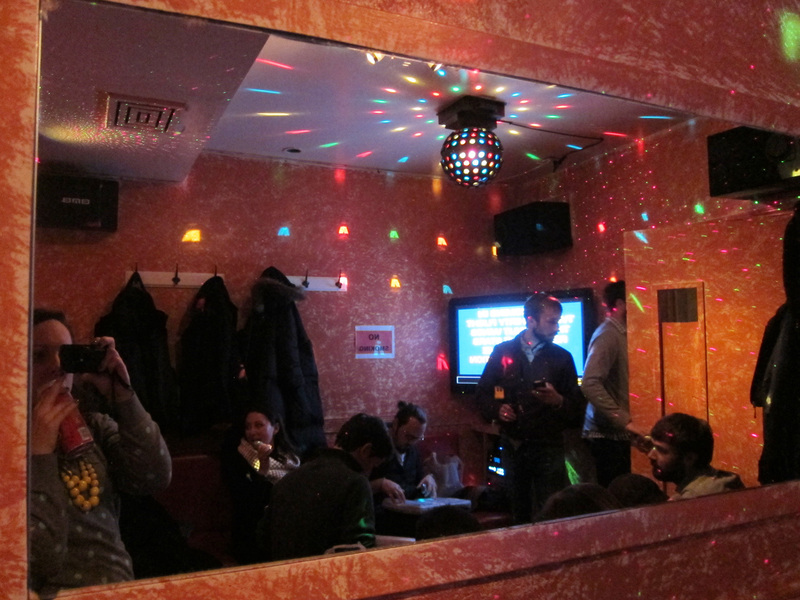 Many rounds of soju later, we headed across the street to Gagopa Karaoke to try out our singing skills. In all honesty, I don't like karaoke very much. I know, I'm a big stick in the mud. But I'm such a terrible singer and no reasonable amount of alcohol can encourage me to unleash that on the world and enjoy it. Refraining from singing is a public service really. And on this particular night, my ears were still a little clogged from being sick, so I was feeling even more tone deaf than usual. Other than singing back-up on a few tunes and the requisite "Sweet Home Alabama", I sat out most of the singing. 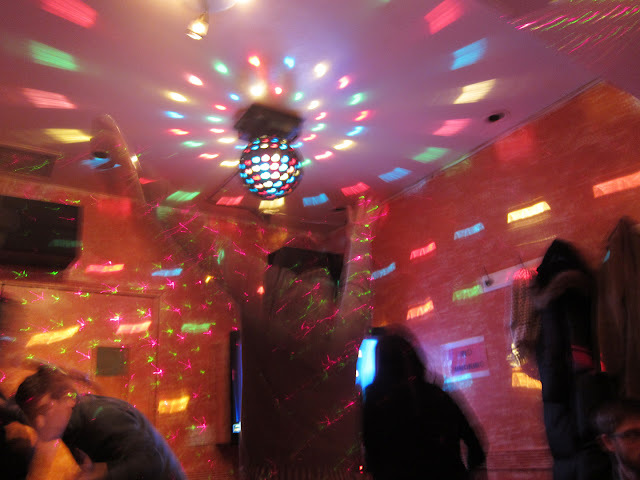 However, I can attest that the rest of the crew had a blast and rocked our teeny little karaoke room. K-town is always good for an entertaining night! Oh my! Late night food would have been a lifesaver! Thanks for the recommendations. I will be sure to try those out next time. this sounds really fun! i've never heard of koreatown. 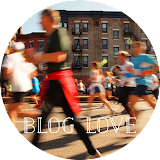 loving the new blog design! 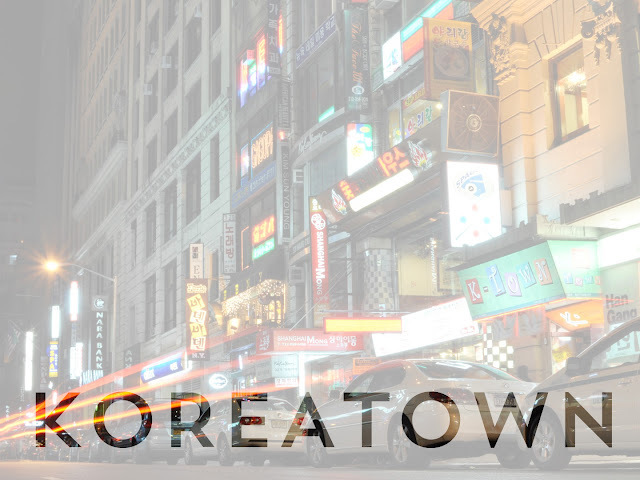 I had never heard of Koreatown before moving to New York City. 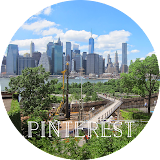 It's mainly just one dense block of businesses and hotels around 32nd Street between 5th and 6th Avenue in Manhattan. 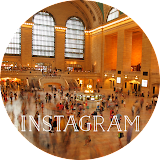 It's definitely an interesting experience! Maybe they have one in Chicago? ahh! i've been to that karaoke bar - it was so much fun. and that restaurant's interior is insane! How funny! I think I've been to 2 other karaoke places on that block (at least) and I'm sure there are tons more. They sure have found their corner of the market!